This is a phrase we often use when we meet people. With this phrase, we at Center Coffee don’t just regard coffee as a beverage. and acts as a bridge to connect people. So we want to share diverse stories through coffee. To enlighten what good coffee truly is. Who produced it, where, how it was cultivated, and how it was roasted. To share the passion that motivates us to showcase the best flavours coffees can have. 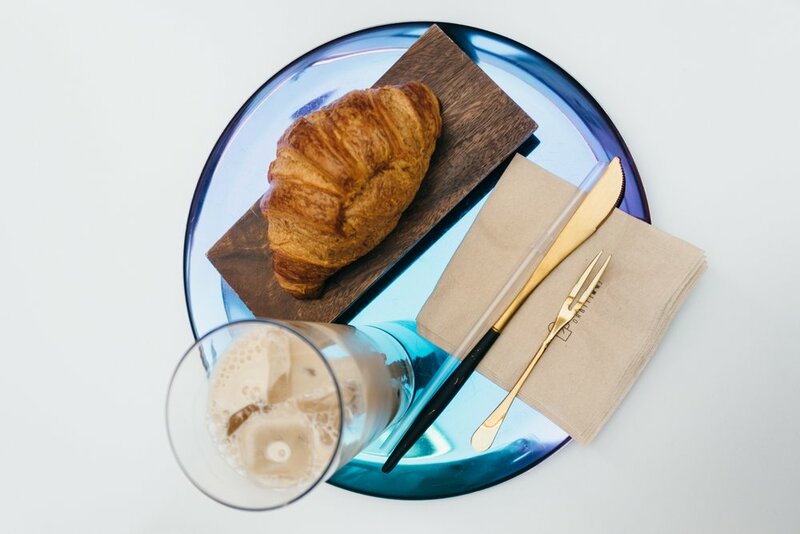 Most importantly, sharing the various experiences you can have with coffee. The cafe itself has two floors. The first floor is where you order your drinks and the second floor has seating area as well as patio where you can seat outside when the weather is nice. Center Coffee has a nice range of coffee selections with unique brewing techniques which coffee aficionado will appreciate. The cafe was pretty quiet the day I went to visit. A couple of people were there, but they were either reading/studying or talking amongst themselves with low voices. I, too, quietly drank my chocolate while looking out through the window enjoying the sky changing colors from blue to orange and enjoyed my time there. 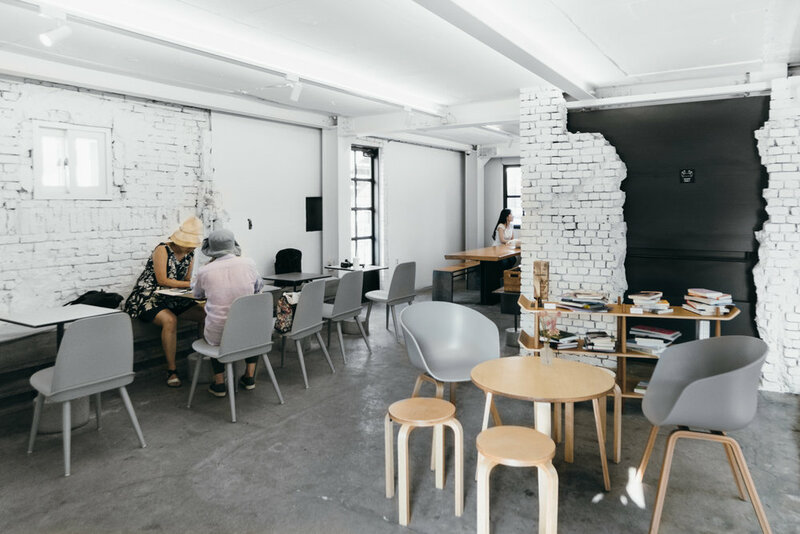 Located near Hongik Subway Station Exit 3, Orbit (올빛) is a cafe and guesthouse combined into one place. The guesthouse itself have 9 rooms designed with pink and marble aesthetics and the cafe area is on the ground floor of the building. I didn’t stay at the guesthouse. I was exploring this area and suddenly attracted by the delicious smell coming out from the kitchen of a nearby Chinese restaurant. When I was checking the restaurant out, I spotted this white building at the end of an alley next to it. 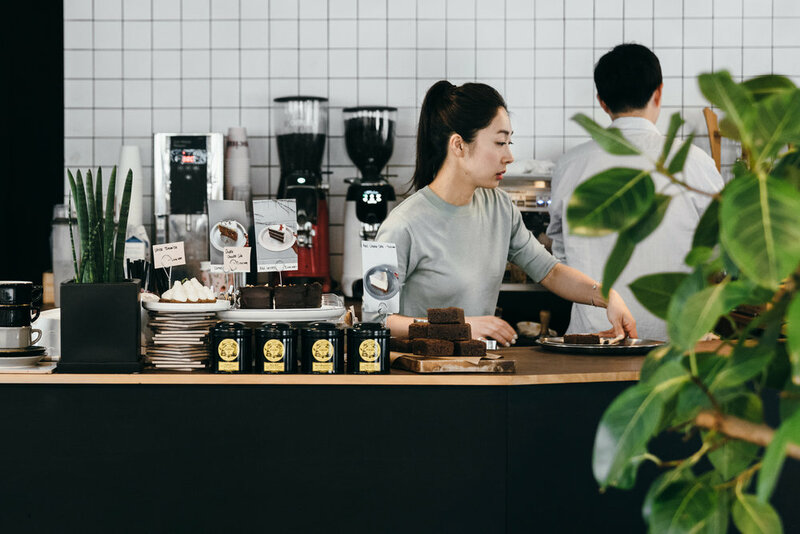 If you’re reading articles titled somewhere along the lines of ‘Pretty Cafes to visit in Garosugil’, Cafe Mula (카페 뮬라) probably made it to 9 out of 10 of those kind of articles. 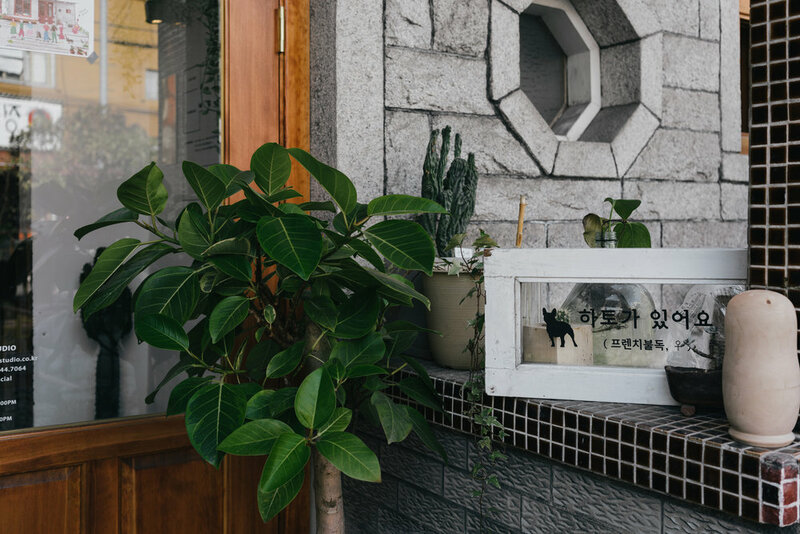 Located in the quieter side of Garosugil (가로수길), Cafe Mula’s entrance is quite simple and almost hidden. Unless you turn your head and look into the small alley like path leading to the cafe, you could’ve easily missed the entrance of this place. What I love about this place is the glass rooftop that they have on half of the space of the cafe. The combination of the amount of natural lighting shining through the ceiling and the pretty interior that they have will make you feel like you’re having tea time in a beautiful greenhouse. I’ve been here a couple of times and for some reason, every time I was here, it’s always on a gloomy day (which I don’t mind to be honest) and I still like the place. Imagine being here on a sunny day when all the sunlight brightly lit the place. The atmosphere is probably even more awesome. Since its opening day, the thing that people usually order when visiting this place is their Tiramisu (or at least that’s the picture people Instagrammed the most at this place), so I ordered their Tiramisu and a cup of hot tea on the side the first time I came to visit this cafe with my friend. The tiramisu was alright. I mean, I’m not an expert in Tiramisu or anything so I can’t really say if this is the best Tiramisu in town or not. I feel like there are so many cafes in Seoul that offer Tiramisu as their dessert menu and all of them just tasted similar (maybe they have the same recipe or got them from the same source? I dunno). But, in my opinion, I could use a little bit more ladyfingers and less of the mascarpone. It’d be nice to have the ladyfingers with the mascarpone instead of the other way around. Too whipped-creamy for my taste. But hey, that’s just me. On another visit though, I tried their green tea latte and it was pretty good. Solid green tea latte at this place. If you’re looking for a spot to chill in Garosugil, I would definitely recommend this place. It was pretty crowded with both locals and tourists when it was just opened a couple of years ago, but I think nowadays, it’s getting less crowded. I’m not 100% sure but at least on my latest visit, the cafe wasn’t as crowded as it used to be. But then again, I went on a Monday afternoon, so that could be one of the reasons why. 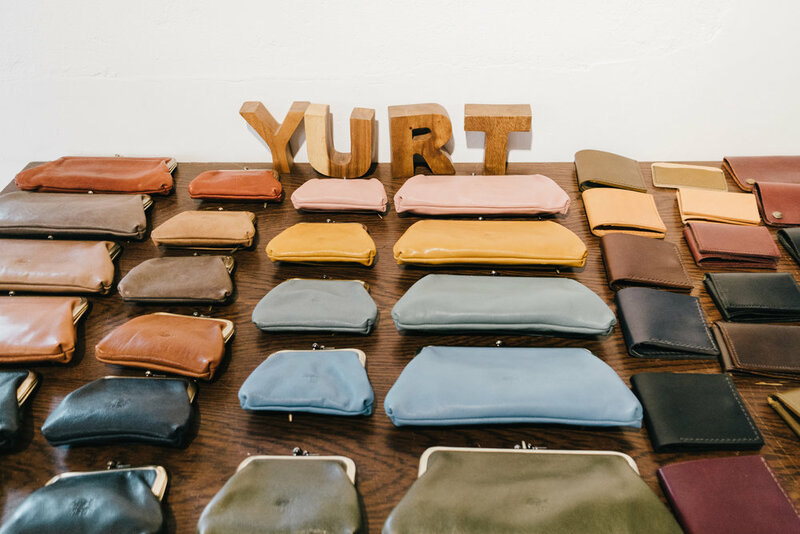 Yurt Studio (유르트 스튜디오) is a handmade leather workshop run by a husband-and-wife design team. 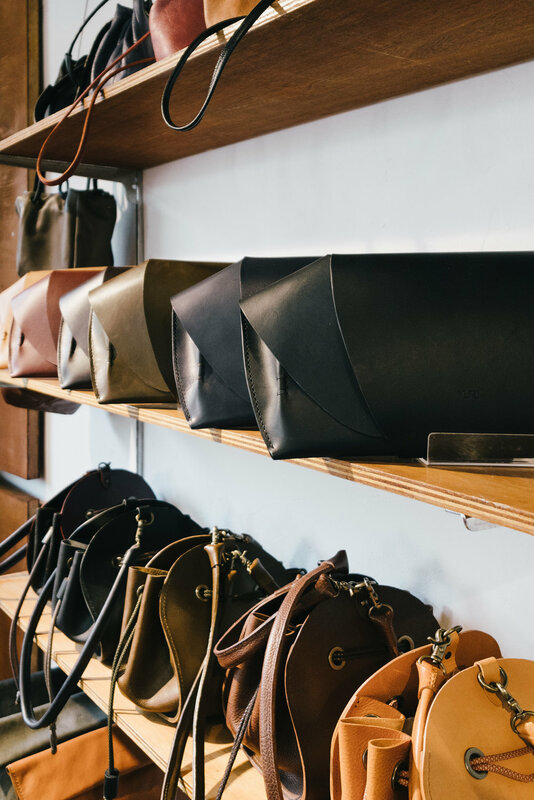 Located in Hannam-dong (한남동), Yurt Studio crafts limited-edition leather shoes and bags, including its signature pastry-shaped clutch, the Croissant Bag. 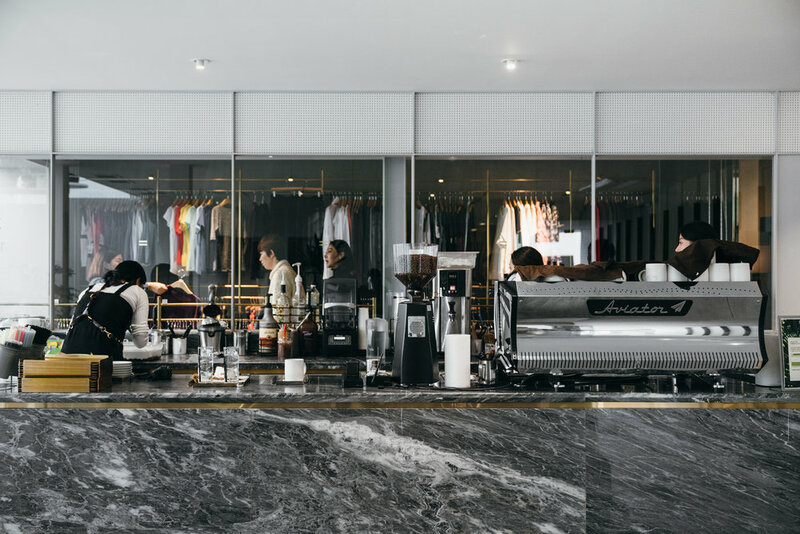 Their studio workshop currently serves as a cafe as well where people can come and browse around the store, as well as see what’s going on around the workshop. By combining the two spaces, Yurt Studio wishes to show people the home of someone who loves leather craftsmanship. In an interview with Samsung Newsroom, Kim Yong-min, who runs Yurt Studio, says, "We wanted to create a space where we can better show our thoughts about the leather we pursue." To do this, he chose the current Yurt Studio with a new yard to move to, and he said, "We have also added a Yurt Cafe so that more people can come in." This new nest was transformed into a living space for Yurt and a perfect workplace. When this place was just opened a couple of years ago, I swear it popped up so much on my Instagram explore page and it seemed like everybody went to this place to take a picture with the pink banner in front of the cafe entrance or their Instagrammable Rain Coffee menu. One In A Million (원인어밀리언) is probably one of the most well-known cafe in Hannam-dong (한남동) area. Both locals and tourists came to this place to either hang out or take pictures around the cafe. I visited this cafe for the first time last summer during one rainy day and the place was pretty empty. There were a couple people inside but being it was a weekday and it was raining, the place was pretty quiet, which was perfect for me. The cafe has indoor and outdoor area and it is pretty spacious. 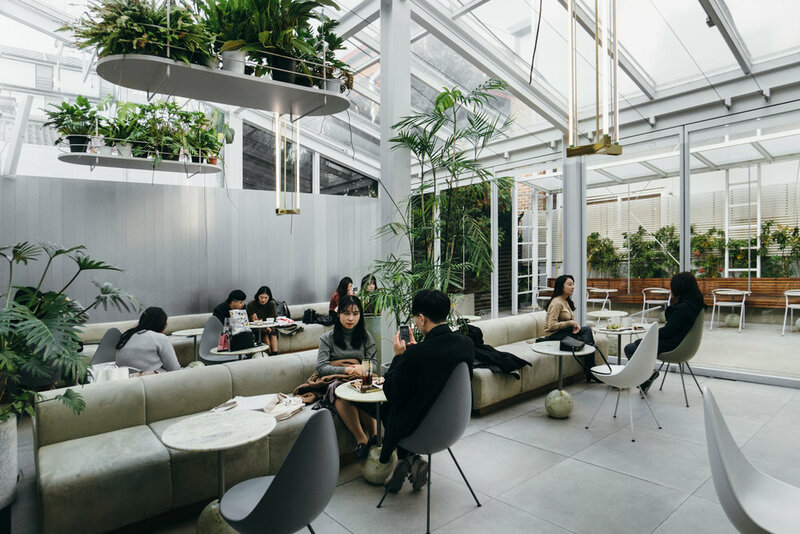 Marble tables, black chairs, and white walls dominated the interior of the space with the combination of green plants placed around the cafe. Since I’ve been here on a couple of different occasions, my friends and I got to try a couple of different things. Since I always go for the non-coffee options, I ordered their grapefruit ade and green tea latte. They were okay. The carrot cake wasn’t bad either. My sister tried their coffee and she said it’s not bad. My other friend actually ordered their Rain Coffee, which is essentially a hot Americano served with cotton candy. I didn’t try it, but it’s definitely pretty to took pictures at. All and all, I think this place is a good place to hang out at with your friends if you’re looking for a cafe around Hannam area. They have the drinks and dessert menu with pictures on a tablet so it’s pretty helpful when you are deciding what to order, especially if you want to order a pretty-looking drink menu from the selections. I didn’t really took a whole bunch of pictures here, but hopefully the video could give you a good sense about the space.